Asbestos was used on military bases, naval shipyards and in navy ships throughout the 20th century. The use of asbestos on ships was especially harmful to many navy veterans. 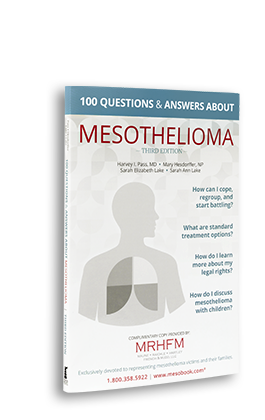 Hundreds of thousands of our military veterans have suffered from asbestos-related illnesses, including mesothelioma. Areas on the ships that were most dangerous were usually in the fire and engine rooms. However, most navy veterans can recall the asbestos insulation that covered pipes and wiring throughout the ship. Some of the personnel most at risk include boilermen, electrician's mates, enginemen, firemen, machinist mates, pipefitters and shipfitters. Seabees who helped with military construction and the civilian shipyard workers were also at high risk. What follows is a list of shipyards where military personnel and civilian workers were exposed to asbestos. To see a list of specific Navy ships where asbestos exposure may have occurred, click here. Los Angeles, CA - Todd Shipyards, Inc.
Tampa, FL - Tampa Shipbuilding Company, Inc.
Baltimore, MD - Bethlehem-Fairfield Shipyards, Inc.
Providence, RI - Walsh-Kaiser Company, Inc.
Seattle, WA - Associated Shipbuilders, Inc.
Seattle, WA - Todd Pacific Shipyards, Inc.
Tacoma, WA - Todd Pacific Shipyards, Inc.